The footage may just be 15 seconds long, but already it’s been viewed more than 17 million times. Its subject? A coyote struggling in a steel trap, a shotgun trained toward its head. For People for the Ethical Treatment of Animals, which posted the video on Facebook last week, a contrasting photo of Canada Goose jackets, neatly arranged on a rack, is comment enough. Although the outerwear manufacturer doesn’t hide the fact that it trims its hoods with coyote fur, PETA insists that its method of obtaining the pelts is “inherently cruel.” According to Canada Goose’s own online fur policy, the company calls fur not just the best choice, but the “only choice” for defending against sub-zero temperatures. The jackets are designed for arctic climes, yet most of Canada Goose’s customers are unlikely to require that level of protection. Perhaps equalling galling for animal activists is Canada Goose’s claims of being ethical and humane. PETA also has words on Canada Goose’s use of down, a fiber that has proven controversial of late. “Those used for the down stuffed into Canada Goose jackets are violently killed for both their feathers and meat, and some even have their throats slit while they’re still conscious and able to feel pain,” PETA said. Live-plucking and force-feeding (for foie-gras production) are also commonplace. The footage may just be 15 seconds long, but already it's been viewed more than 17 million times. Its subject? A coyote struggling in a steel trap, a shotgun trained toward its head. For People for the Ethical Treatment of Animals, which posted the video on Facebook last week, a contrasting photo of Canada Goose jackets, neatly arranged on a rack, is comment enough. Although the outerwear manufacturer doesn't hide the fact that it trims its hoods with coyote fur, PETA insists that its method of obtaining the pelts is "inherently cruel." According to Canada Goose's own online fur policy, the company calls fur not just the best choice, but the "only choice" for defending against sub-zero temperatures. 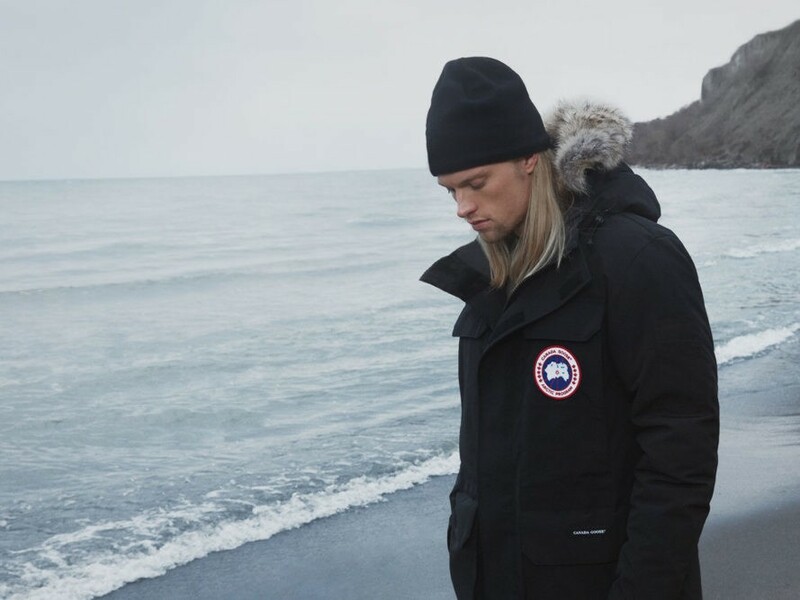 The jackets are designed for arctic climes, yet most of Canada Goose's customers are unlikely to require that level of protection.